Exclusive! Cozy and convenient! 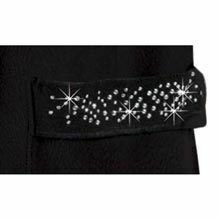 Wrap up in this super soft shawl and discover a little something extra—roomy patch pockets embellished with shimmering silver crystals on each side. 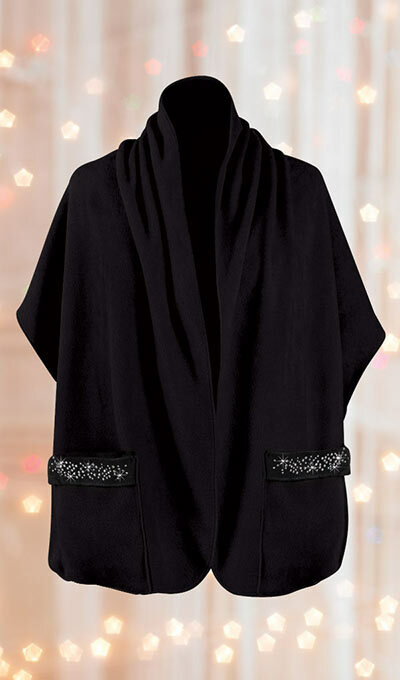 Perfect for the gal on the go—simply grab it, wrap our Pocket Shawl with Embellished Pockets, and you're out the door in seconds! 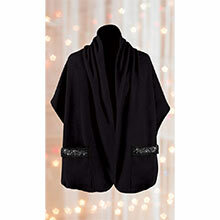 Pill-resistant polyester fleece is durable and long wearing. Machine wash. Imported. One size fits most. Rectangular body measures 20" x 64". Hurry! Quantities are limited!